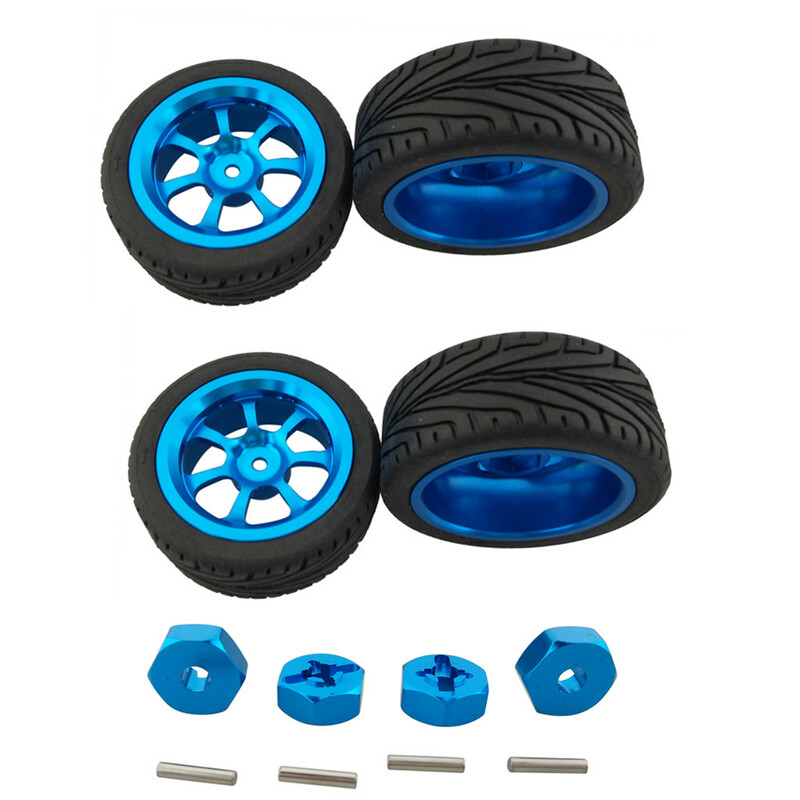 Successfully Added Alloy Hub Wheels Tyre + Hexagon Wheel Seat Adapter for Wltoys Remote Control Car to your Shopping Cart. Made of high quality material, wear resistance and anti-slip, durable for use. With bright blue color, will make your toy car more cool and stylish. Equipped with hexagon wheel seat adapter, convenient to install. Fit for Wltoys A949 A959 A969 A979 K929 Remote Control Car.